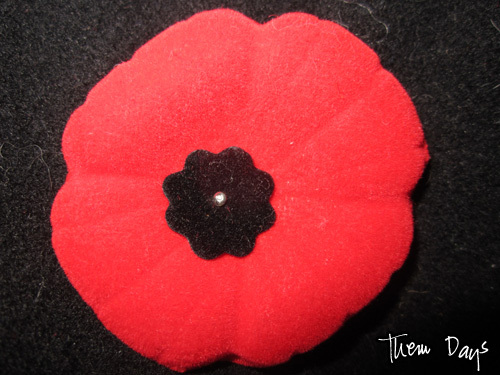 Them Days is closed today, Tuesday, November 11, 2014, in observation of Remembrance Day. We will re-open tomorrow on Wednesday as usual. Labrador Virtual War Memorial – Our Virtual War Memorial will be undergoing updates in the near future, with new information (maybe even new pictures?). 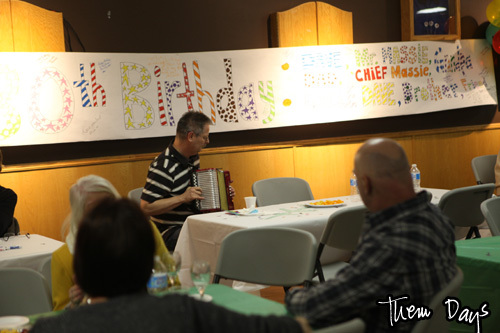 This past Saturday, our longtime volunteer and favourite visitor Dave Massie turned 80. 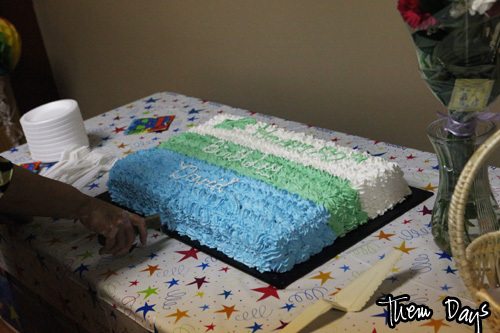 His family flew in from all over to help celebrate. We had a little surprise for him too. 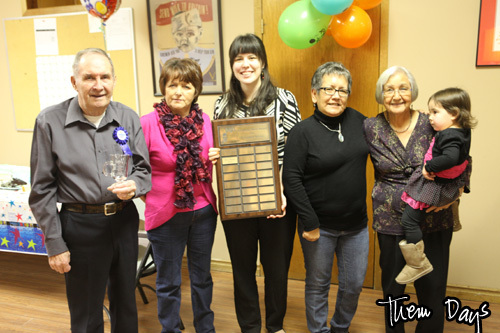 The Board had decided at the October board meeting to bestow Mr. Massie with the Isaac Rich Award for Volunteer Service, an honour given out for the first time last year (to John O. Heard). We had a glass mug engraved at Slippers ‘n’ Things, and a his name added to the wall plaque in our lobby. But (silly us) instead of keeping the plaque down, we put it back up. And thus, Daphne ran and took it down when Mr. Massie popped in for a visit. You see, we were trying to keeping it a secret! So Saturday night came around and Theresa and Daphne and I represented Them Days and surprised him with the award. Theresa did the presentation, then I added the story about Daphne running around behind him to take down the plaque. “I wondered why she was running around,” he said later. 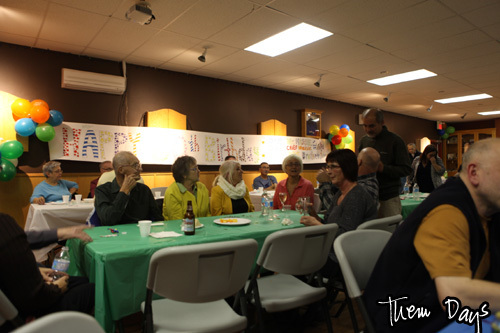 Anyway, it was a wonderful party, and the food was delicious! 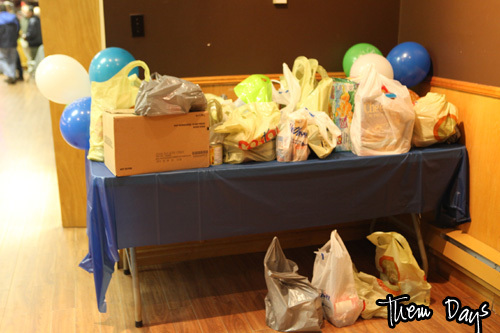 The donations to the food bank! The entertainment…good ol’ tap-your-toes tunes! Dave Massie, Daphne Fudge, Aimee Chaulk, Theresa Hollett, Hannah Massie (Dave’s wife) and little cutie Macie! Thank you for all you’ve done for us over the years, Dave! We appreciate it so much.